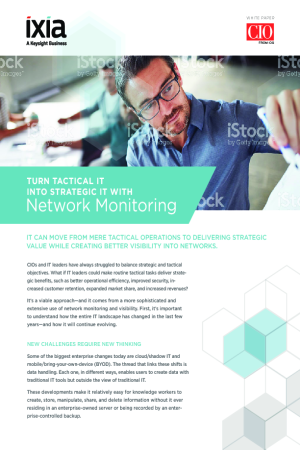 CIOs and IT leaders have always struggled to balance strategic and tactical objectives. What if IT leaders could make routine tactical tasks deliver strategic benefits, such as better operational efficiency, improved security, increased customer retention, expanded market share, and increased revenues? It’s a viable approach—and it comes from a more sophisticated and extensive use of network monitoring and visibility. First, it’s important to understand how the entire IT landscape has changed in the last few years—and how it will continue evolving.